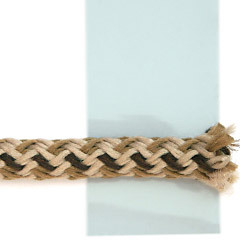 The simplest way to create an aglet is to wrap adhesive tape two or three times around the end of the shoelace. Combine with glue for added security. It's pretty difficult to wrap adhesive tape around a flexible shoelace in mid-air! 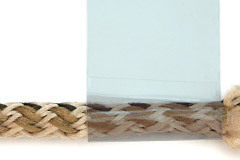 Instead, lay the tape sticky-side up on a flat surface, then lay the end of the shoelace partway across the tape. Start by folding a small overlap of tape across the lace end and sticking it back onto itself. This will compress the lace end, making it easier to then wrap it with tape. Roll two or three layers of tape very tightly around the end. For extra durability, a couple of dots of Super Glue under the edge of the tape will prevent it from peeling. Trim off the protruding shoelace and excess tape for a smooth finish. For maximum strength and security, squeeze some glue into the end of the tape "tube", then trim off any excess when the glue is dry. If you are shortening a shoelace to length, you may find that an adhesive tape aglet is a close enough match to the original aglet that you can get away with cutting only one end of the shoelace. In this case, shift the lacing along so that one end is the desired length and all the excess is on the other end, then shorten that end to the desired length. A water-activated polyurethane glue like "Gorilla Glue", which will foam up and expand to fit the tube. If you do use "Super Glue", note that the fibers of the shoelace provide a huge surface area, which can cause this type of glue to cure too quickly. Although rapid drying is normally an advantage, the disadvantage is that it can result in a finish that is whitish rather than clear. It can also give off some nasty fumes, so beware! Adhesive tape aglets, when reinforced with glue, are pretty tough and durable and should never trouble you again. Gaffers Tape is super-sticky cloth tape. While most of these tapes seem superior, they tend to produce aglets that are fatter yet more flexible, although they can be an option if you are after a splash of color.